NASHVILLE, TN — New photography book explores the relationship between music and the South. Travel originally inspired Poroger to begin the book. He’d dreamt of an American road trip since childhood. Poroger’s journey led to several surprising discoveries beyond the obvious correlations of music and the Southern region. This concept of duality and contrast is the driving force of the book. The book’s center photograph, the one that divides the pictures into warm and cool images, conveys this reoccurring theme. The photography is of a set of knobs found in a bathroom at the Shack Up Inn in Clarksdale, Mississippi, a town known for the legend of blues musician Robert Johnson selling his soul at the Crossroads. The words hot and cold are crudely etched above the knobs. Poroger was moved by this image, and used that same writing for the book’s cover. The book’s cool images are blue-toned photographs of architecture, bridges, winter scenery; the warmer shots are red and fiery scenes in bars, people kissing and hugging, and music garages all over the South. Nashville’s photos are in the “Hot” section. Poroger wanted to find the less obvious images in Music City. 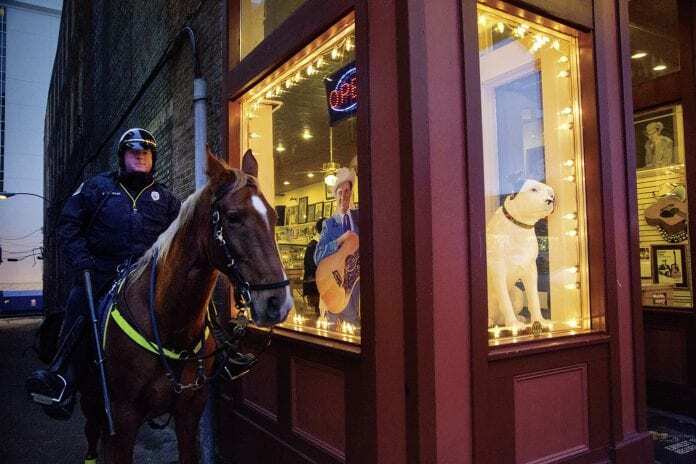 “Instead of taking pictures of bands playing, I took a picture of a policeman smiling next to where the music was happening.” Poroger was surprised by how Nashville’s policeman enjoyed being photographed, something that set the city apart from the others. Some connections between the mundane and the musical were more subtle. Page 44 and 45 capture strolling brass musicians and delivery men walking in the exact same stance. Poroger celebrated Cold Hot with a tour retracing the book’s trip. Nashville’s event took place on March 1st at Music City Bar and Grill from 7-10pm. Local country musicians spoke about the book’s legacy and its role in preserving the South’s musical heritage, including Nashville’s own musical history. Poroger has been interviewed on Brazilian television, and has sold the book to several Europeans eager to take it home with them. After the tour, Poorer will be interviewed on TV Global, a station available in several countries. Previous articleGifts for Gifts? What’s Your Practice?